Under New York’s new plan nearly 1,075 new, publicly accessible fast-charging stations will be eligible for annual incentives with a maximum statewide cost of $31.6 million. Photo credit Creative Commons. Gov. Andrew M. Cuomo announced in February that New York is making up to $31.6 million available to ramp-up the expansion of electric vehicle fast-charging stations to serve the future electric vehicle market and accommodate the needs and demands of the growing consumer marketplace. The plan approved by the New York State Public Service Commission will leverage existing New York State Energy Research and Development Authority and New York Power Authority funds to spur the private-sector development of much-needed fast-charging infrastructure to support the goal of 800,000 zero-emission vehicles in New York by 2025 — representing nearly one out of every ten vehicles on the road. Under this plan, nearly 1,075 new, publicly accessible fast-charging stations will be eligible for annual incentives with a maximum statewide cost of $31.6 million. These fast-charging stations will provide greater convenience for EV owners and will be able to charge a long-range EV in 20 minutes as compared to the 20 hours using a typical home charger, or 4 to 8 hours using a level-two charger. The transportation sector is one of the largest producers of energy-related greenhouse gas emissions in New York. Gov. Cuomo’s Charge NY initiative seeks to reduce these emissions by expanding the number of electric vehicles and charging stations through multiple programs administered by NYSERDA, the Department of Environmental Conservation, the New York Power Authority, and the Thruway Authority. Compared to gasoline-powered cars, electric cars are more energy efficient and cost about 50 to 70 percent less to operate per mile. New York’s EV market is rapidly expanding. EV sales were up 50 percent in 2018 and are rapidly gaining market share. From 2010 through October 2018, more than 43,000 EVs were sold in New York State. About 33 percent of those EVs are battery-electric vehicles, the other 67 percent are plug-in hybrid electric vehicles. The action to add 1,075 new fast-charging stations to be developed under the initiative announced today recognizes the essential role that public fast-charging stations will play in the near term to allay “range anxiety.” Leveraging public resources with private investment for the development of publicly accessible fast-charging stations will have the virtuous effect of stimulating the EV market in New York over the coming years. 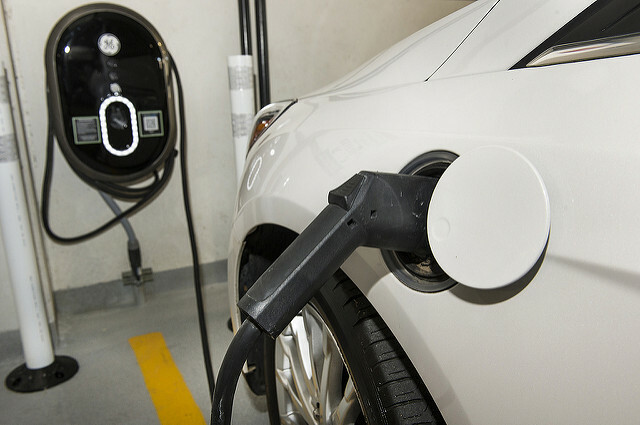 NYPA’s commitment of up to $250 million through 2025 for EVolve NY, an initiative that partners with the private sector and other key stakeholders to address market gaps in charging infrastructure to accelerate EV adoption and deployment of fast chargers in high-traffic corridors across the state. The plan approved in February is broadly supported by NYPA, DEC, NYSERDA, the New York State Department of Transportation, the New York State Thruway Authority, and the State’s six major electric utilities. PSEG-Long Island and the Long Island Power Authority are also planning to implement a support program for fast-charging stations by mid-2019. This plan will be implemented across the state to encourage deployment of public stations by providing direct incentives for operators of newly constructed charging stations to address the short-term economic challenges associated with initial low utilization levels. Each investor-owned utility would provide an annual per-plug incentive to support investment in stations. The utilities will work with the developers of the fast charging stations to ensure they are both conveniently located for consumer access, while also providing the greatest grid benefits. To learn more about eligibility, developers are encouraged to contact their respective utility.